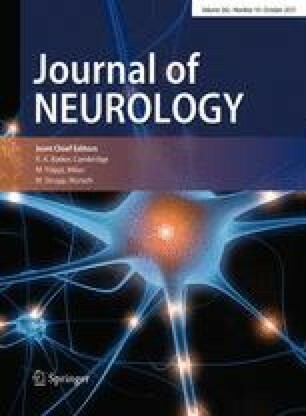 The detection of anti-aquaporin-4 autoantibody (AQP-4 Ab) is crucial to detect patients who will develop neuromyelitis optica (NMO); however, there are few studies on the AQP-4 Ab serostatus of patients with neuromyelitis optica spectrum ON. We analyzed the clinical and paraclinical features of neuromyelitis optica spectrum ON patients in China according to the patients’ AQP4-Ab serostatus. 125 patients with recurrent and bilateral ON with simultaneous attacks were divided into AQP-4 Ab-seropositive and -seronegative groups. Demographic, clinical, serum autoantibody data, connective tissue disorders (CTDs), visual performance were compared. A Visual Acuity (VA) of less than 0.1 during acute ON attacks occurred more frequently in the seropositive group (p = 0.023); however, there was not a significant difference between groups on VA recovery after the first attack. The seropositive group experienced the worst outcome during the last attack (p = 0.017). Other co-existing autoimmunity antibodies (p < 0.001) and CTDs (p < 0.001) were more prevalent in seropositive patients. There were no significant differences on VA recovery and RNFLT combined with other autoantibodies or CTDs. The two groups did not differ significantly with regard to time to relapse, annualized relapse rates, time of diagnosis NMO, or RNFL. There were no significant differences on VA recovery and RNFLT combined with other autoantibodies or CTDs. RNFLT was thinner in NMO seropositive patients. Although AQP-4 Ab expression predicted poor visual outcome, positive patients were usually associated with mild symptoms at first onset. Anti-SSA/SSB antibody or Sjögren syndrome may be associated with AQP-4 Ab in neuromyelitis optica spectrum ON. Hongyang Li and Yanling Wang were the co-first authors and they contributed equally. This work is supported by National the 12th Five-Year Plan Science and Technology support project ‘‘clinical epidemiological studies of optic neuritis (number: 2012BAI08B06) and China Postdoctoral Science Foundation (No. : 2013M532109). This study was approved by the People's Liberation Army General Hospital Ethics Committee and was conducted following the Declaration of Helsinki in its currently applicable version. All individuals voluntarily participated in the study after a thorough oral and written information procedure. Oral and written consents were obtained from all participants.